Dr. Serkan Gölge, a NASA scientist who was sentenced to seven years, six months in prison in February due to his alleged links to Turkey’s Gülen group, has said he has been “unlawfully” kept behind bars for two years, which he says shows he is being held hostage by the Turkish government, the t24 news website reported on Tuesday. A dual citizen of the US and Turkey, Gölge, 38, was detained as part of an investigation into the Gülen movement, which the government accuses of masterminding a coup attempt on July 15, 2016, on July 23, 2016. He was arrested after being kept in police custody for 14 days. In February a Turkish court in Hatay province handed down a prison sentence of seven years, six months on charges of membership in a “terrorist” organization. The scientist said the law has been suspended for him in Turkey. Gölge was detained while on a family visit to Turkey on allegations of being a CIA agent and a follower of the Gülen movement. The prosecutor submitted as evidence in the case a statement by an anonymous informant, a Bank Asya bank account belonging to Gölge and a one dollar bill found in his brother’s room. Dollar bills are considered by the Turkish government to be a secret sign of connections to Pennsylvania-based Turkish Islamic scholar Fethullah Gülen, who is blamed for the coup attempt in Turkey, a charge he strongly denies. Gölge went to the US to do a Ph.D. in physics in 2003 and settled there. Before his arrest, he had been working as a senior researcher at NASA as part of a project of landing humans on Mars. 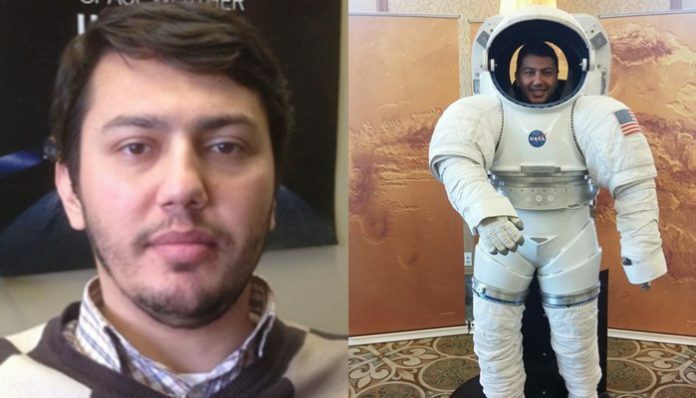 Gölge was still employed by NASA during his trial but was fired after his conviction in Turkey. The scientist is awaiting the verdict for an appeal he filed at a superior court, which will be decided on Sept. 19.